Jackson skates are extremely popular within the figure skating community. This allows for exellent quality skates, at a very reasonable price. Several different styles and sizes to choose from. Mondor tights are well known for their quality. Softec skates are designed with comfort in mind. Possibly the most comfortable skate you will ever wear, these skates are a favorite among recreational figure skaters. - Fully lined with cushy foam padding. - Velcro strap(s) for a tight fit. - Stylish good looks and a strong jackson blade. 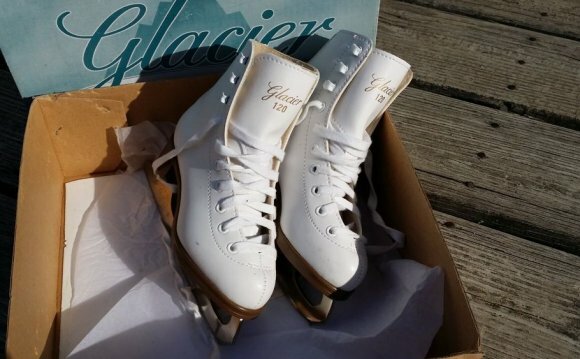 Glacier figure skates are another quality brand by Don Jackson. Less expensive than the Jackson branded models, these skates are great for people just getting into the sport.